It shouldn’t come as a surprise to say that sales constitute one of the pillars of our company. Sales are what bring in revenue, and that is what allows us to expand, consolidate, make new investments, etc. Still, despite their importance, people often fall short when they need to motivate a sales team in furniture hardware distribution. 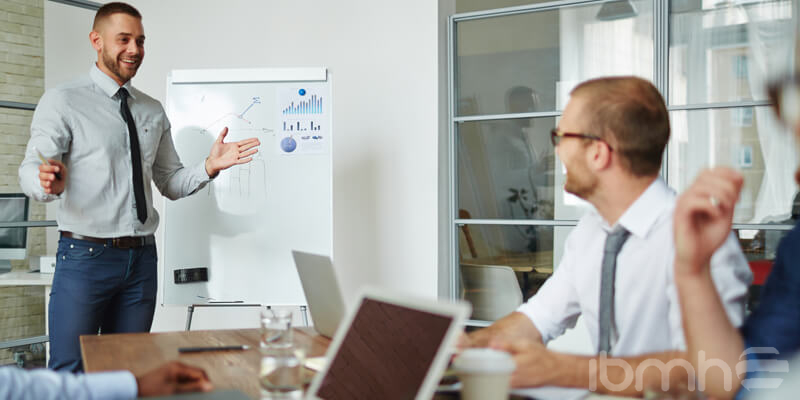 For that reason, in this post we will go over some of the less obvious—but very important—points to retain your star employees and ensure the whole team performs at their best. Beyond a good salary and good working conditions, which every company knows need to be taken care of from the get-go, there are several factors that impact the motivation of your sales team. All of these factors are related to how the team feels about the company. 1. The customer is NOT always right. Yes, it’s important to treat customers the way you would want to be treated. Our employees know that, and in most cases, that is what they do. However, there are some occasions when the classic “the customer is always right” can be counterproductive. Many management experts warn that is it much worse to have a toxic client than no client. In most cases, you should listen to the customer, but in some very specific cases, such as the one discussed in this article (those clients who are never satisfied, who demand the impossible or change their minds every five minutes), the best option is to stand on the side of your employees. A toxic client can kill motivation. Don’t let that happen by exposing your people to that type of customer over and over again, especially not without your support. You can’t motivate a sales team in furniture hardware distribution if you don’t have absolute trust in them. A brilliant employee can wind up discouraged because of low expectations, thinking that they are wasting their talent on tasks that, in the long run, become routine. For this reason, it’s always advisable to give your team a vision for the future. But a mistake that many companies make is, rather than setting ambitious goals, asking for impossible ones. When setting objectives, be honest: where is your company at, and who are your real competitors? Everyone wants to measure up to the biggest and best, but is that reasonable? • At what point are you in your objectives? • And what is the plan for achieving them? While everyone recognizes that an atmosphere of trust in the workplace favors motivation, we often forget to “celebrate” the successes of our team. It seems obvious, but we get caught up in our daily tasks and think that a pat on the back or a smile is enough to motivate a sales team in furniture hardware distribution. This couldn’t be further from the truth. But an even worse scenario is if you only remember your team when there’s a problem. Trying to change this dynamic is key to maintaining a pleasant work environment. And all the experts agree that a good work environment is key to improving productivity. At IBMH, we know that our team of professionals is the moving force that drives our company. It’s a key reason we have become the multinational leader in Purchase Management of Hardware for Furniture and Construction in China. What about your company? How important is your sales team? What strategies to you use to get results? What actions would you recommend to motivate a sales team in furniture hardware distribution?